Watching The Exorcist just wouldn't be the same without the use of Mike Oldfield's "Tubular Bells". But the movie almost had different music all together. Director William Friedkin wanted the classic thriller to have an original soundtrack. And composer Lalo Schifrin did provide a score, which was later notoriously rejected. We now get to hear some of this music. And it is down right terrifying. 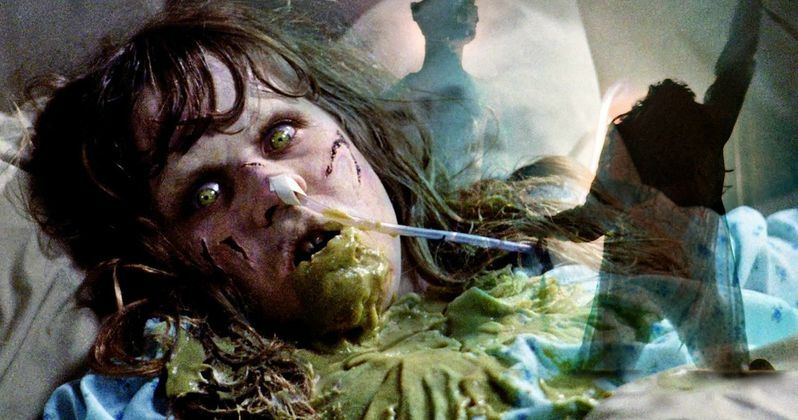 Even though some younger audiences laugh at it now, The Exorcist is still considered to be one of the all-time scariest movies ever made. And it has since been entered into the National Film Registry (class of 2010) and the Library of Congress. But the movie was almost altered in a big way. This was one of the first horror movies to truly use its musical track in an extreme, visceral manner. And that was certainly helped along by 'Tubular Bells', which the film turned into a phenomenon amongst horror aficionados and soundtrack fans alike. But what kind of impact would composer Lalo Schifrin's score have had on audiences? As Bloody Disgusting tells it, the man behind such iconic themes as 1968's Bullitt and the original Mission: Impossible TV show, created music for the movie that was down right scary. But in a fit of rage, director William Friedkin literally threw the audio reels out of a studio window. Lalo Schifrin was hired while the film was in production. And he created music for a teaser trailer that was to be shown to advanced audiences to gauge their interest in the movie. The teaser caused such a strong reaction that some theater goers ran for the exit door, while others vomited in the isles. There are even claims that the strong flashing images contained in this sneak peek caused seizures. The studio demanded that the music be changed. And it needed to be softer. Bloody Disgusting describes it as more relaxed. Speaking with ScoreMagazine a few years ago, the composer had this to say about the whole experience. "The truth is that it was one of the most unpleasant experiences of my life, but I have recently read that in order to triumph in your life, you may previously have some fails. What happened is that the director, William Friedkin, hired me to write the music for the trailer, six minutes were recorded for the Warner's edition of the trailer. The people who saw the trailer reacted against the film, because the scenes were heavy and frightening, so most of them went to the toilet to vomit. The trailer was terrific, but the mix of those frightening scenes and my music, which was also a very difficult and heavy score, scared the audiences away. So, the Warner Brothers executives said Friedkin to tell me that I must write less dramatic and softer score. I could easily and perfectly do what they wanted because it was way too simple in relevance to what I have previously written, but Friedkin didn't tell me what they said. I´m sure he did it deliberately. In the past we had an incident, caused by other reasons, and I think he wanted vengeance. This is my theory. This is the first time I speak of this matter, my attorney recommended me not to talk about it, but I think this is a good time to reveal the truth. Finally, I wrote the music for the film in the same vein as that of the trailer. In fact, when I wrote the trailer I was in the studio with Friendkin and he congratulated me for it. So, I thought I was in the right way... but the truth was very different." As the story goes, William Friedkin actually hated the music. Which resulted in him throwing it out. But it has since been preserved for us to hear now. You can listen for yourself in the provided video embeds. What do you think? Would this have made for a better movie? Or is the horrifying music less impactful of the images that it would have accompanied. Sound off in the comments below. We also have the original trailer that caused vomiting and seizures with its flash images.